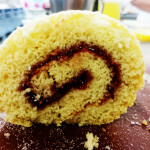 When challenged to make an innovative dish using olive oil and balsamic vinegar, my first instinct was to make a cake. Of course, making a cake is my first instinct in most situations. One of the perks of being at Leiths is being visited by lots of people bringing us delicious things. The Belazu Ingredient Company set up the first olive oil and vinegar tasting I’ve ever attended, and challenged us to create an innovative dish using any combination of their Early Harvest Arbequina Extra Virgin Olive Oil, Balsamic Vinegar of Modena, or Freekeh. The olive oil was very good, but it was the balsamic vinegar that surprised me: it was so delicious that I ended up drinking it like a shot. I chose to work with the olive oil and vinegar, and decided to make these ingredients – traditionally used in savoury dishes – the stars of a cake. The olive oil I used instead of butter as the main source of fat for the cake: it creates a moist and tender crumb and gives a subtle flavour and a lovely golden tawny colour. The balsamic vinegar I initially used to marinate the peaches, and then later to flavour a warm caramel sauce. My next job was to come up with some accent flavours and textures to complement the oil and vinegar. Balsamic strawberries are a well-known concept now, but I wanted to try something a little different, and so I went for balsamic peaches. The complex richness and fruity sharpness of the balsamic vinegar works well with the softer sweetness of the peach. 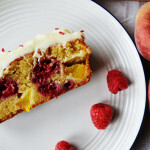 The peaches are then baked on the base of the cake, later to be turned over: the vinegar darkens and caramelises as it cooks and the peaches meld into the cake, ending up sitting golden on top. 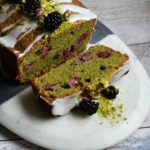 Pistachios are probably my favourite nut, and I included them as I thought the cake needed a little texture, and the slight saltiness they bring to the dish helps balance the sweetness of the cake and peaches. Plus they always look so pretty, garlanding a cake in green and hints of purple. The caramel sauce is one of my favourite parts of this dish. I am a big salted caramel fan, but balsamic caramel might be even better. A high quality balsamic vinegar like this one adds both a sharpness and an interesting fruitiness to the caramel, and I had to stop myself eating it out of the pan with a spoon. Even though it makes for a pretty long blog post title, I am really happy with my cake, and a I had a lot of fun with this challenge. I made the recipe loads of times to test all my little tweaks to the it and I am not bored of it yet, which is a good sign. Now, I’m off to go and finish the rest of that caramel sauce. Two hours before you plan to bake your cake, core your peaches. Cut them into slices and place them in a shallow bowl or dish with the balsamic vinegar. Turn the peaches in the vinegar and make sure they are covered and immersed. Cover, and leave at room temperature, ideally for two hours but for as long as you can if not. When you’re ready to bake your cake, preheat your oven to 170C/ 150C fan/ gas 3. Grease a 23cm cake tin and line the base with a circle of silicone/ parchment paper. In a large mixing bowl, or in a stand mixer, beat the eggs together with the yoghurt. When evenly combined, beat in the olive oil, followed by the sugar. In a separate bowl, sift together the flour, bicarbonate of soda, baking powder, and salt. Stir through the chopped pistachios, reserving 2 tbsp of nuts. Fold this mixture into the wet mixture and beat to combine. Arrange the peach slices over the centre of the base of your cake tin in whatever pattern takes your fancy. Reserve the leftover balsamic vinegar from the peaches. Carefully, so as not to displace the peaches, pour the cake batter into the tin. Bake in your preheated oven for 45 minutes, or until it’s firm and risen and a skewer inserted into the centre of the cake comes away clean. 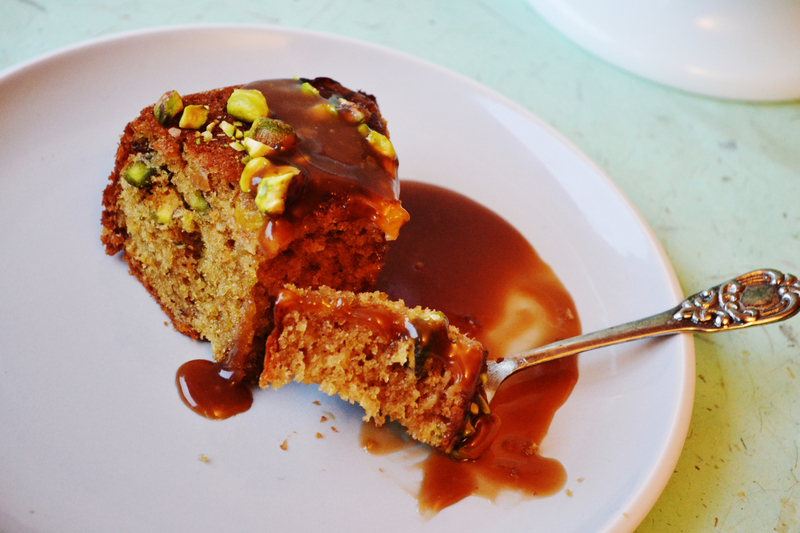 While the cake is baking, make the caramel sauce. Combine the sugar with the water in a saucepan and heat gently until the sugar is dissolved. Once the sugar has dissolved, turn up the heat and continue to cook the caramel until it’s the copper colour of a penny, which should take 5-10 minutes. While the caramel is cooking, warm the cream gently in another pan until steaming, then keep warm on a low heat. Once the caramel is ready, carefully whisk in the cream, off the heat, followed by the balsamic vinegar and the salt. Cook for a further minute, then take off the heat again. Taste and adjust as needed – I often add a little more balsamic vinegar. When the cake is ready, leave to cool for ten minutes before removing from the tin. Carefully peel off the silicone disc to reveal the peaches. 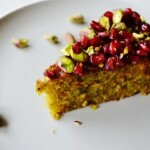 Sprinkle your reserved pistachios over the cake. Serve with the warm balsamic caramel. Would a gluten free flour work? It should do! I haven’t actually tested it but it’s a fairly sturdy cake and I can imagine it would convert well to being gluten-free with a solid brand like Doves. It might also be good with half flour and half ground almonds. I am really intrigued to try the combination of peach and balsamic vinegar now. The cake looks absolutely delicious! Wow! this cake looks and sounds amazing. I do not have an overly sweet tooth so it sounds perfect for me. I am looking forward to giving it a go. Thanks! Yes, it’s definitely not an overly sweet cake. I can not wait to try this cake out when my 3months old will give me a chance. Definitely this is on my list to make soon. sound so yummy, I love balsamic vinegar, and having sweet tooth myself, this is just perfect. I will try to half the flour with almond one. Love your blog Hannah, many amazing creative yummies in the New Year for ya! Yes, proper balsamic vinegar is delicious, isn’t it? Good luck with the cake and with the 3 month old! Looks delicious, love to eat natural healthy foods and don’t like really sweet dishes. Think I might try this interesting recipe, I’m sure my family will love it. Looks delicious. 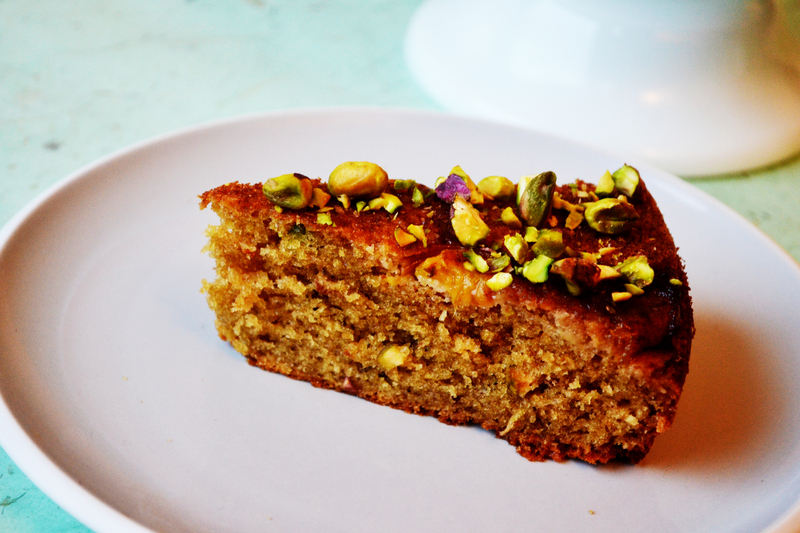 As cakes go pretty healthy too with the olive oil instead of animal fat plus some protein from the oh-so-pretty pistachios. Please put me on your tea-party invite list! I’ll give it a go myself as soon as this Teaching Block is over. Looks lovely but I will have to get Ruth to make it for me. Please. I reckon I’m going to give this a try during half-term! Sounds delicious. This sounds and looks delicious! Not a cake lover usually but with these ingredients and with the balsamic peaches and sauce I’d definitely like to try it. Can’t wait to try this cake, it looks delicious and I much prefer cakes made with olive oil – agree with you completely about the moistness of the end result. 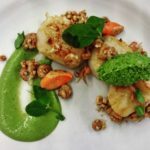 Another fabulous recipe! Looks delicious, does it have a similar texture to carrot cake? Would be interested to know what flour you would use for a gluten free option. Sounds delicious! 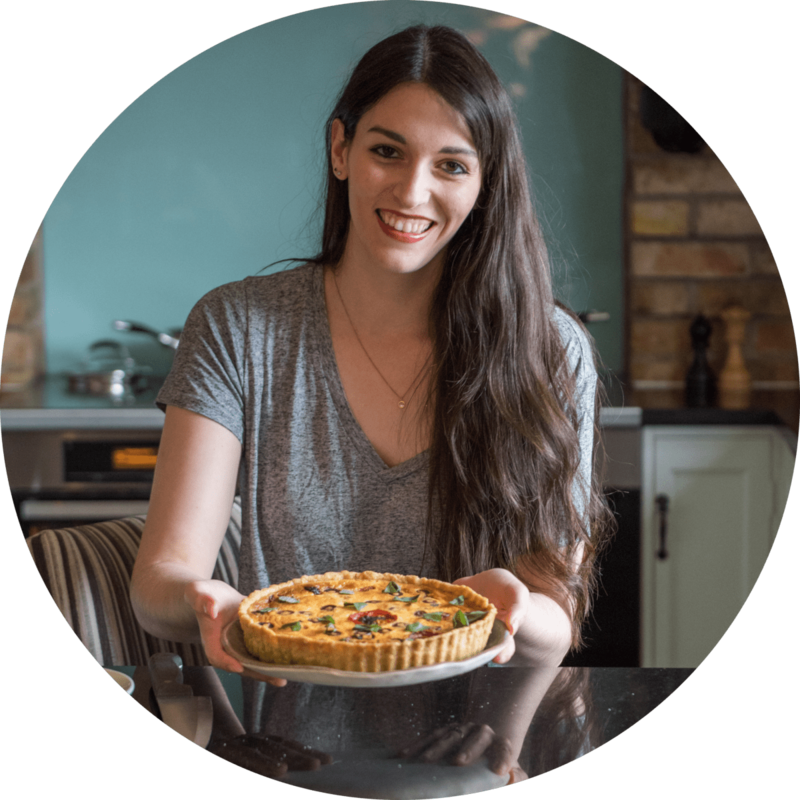 it has so many of my favourite ingredients in it! This cake looks and sounds delicious! I’m going to give it a try. Wish me luck! Fab recipe! Can wait to try it for a special occasion. 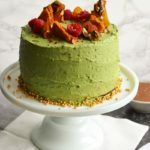 Pistachio and peach will be a delicious combination. Thanks for posting! What a great find! All the ingredients my family,and daughter especially, love. Will be trying it soon to cheer everybody up at this time of year! Will let you know the outcome, Hannah!